This time last year the Nats were starting their promotion where fans could win promo items by finding Teddy around the DC area, so it should be in the very near future that the new promo schedule is released. It’s probably too late because I’m sure that the schedule has already been set, but here is what I’d like to see and what I expect to see. 1) The return of the calendar magnet, I’ve got the full collection, but they stopped giving them away last year. How can you not have a calendar magnet??? 2) Car magnet, second most important thing after the calendar is that they need to give away car magnets each year, they fade and need to be replaced, every car needs one. 3) Post game concert, my schedule has never worked out to make one of these but they’ve had some good acts. This year they need to break the rule of classic rock and country and get some R&B or rap in the ballpark, or maybe some Reggae for Dusty, it’s like there is some sort of ban. 4) Pins, I just got the Bryce Harper MVP pin, I’m ready for more. 5) Kids stuff, each year they have had fewer and fewer kids giveaways and in 2015 they had zero. How can an MLB team go an entire season with zero kids giveaways. Up in Pittsburgh they have stuff for the kids every single Sunday home game, plastic bats, jerseys, OYO (lego) sets, shirts, caps, wall decals, and even a bluetooth speaker. 6) Nice quality shirts and hats, as opposed to what they’ve been giving away lately. I have a ton of shirts from the early years that still hold up nicely. The recent shirts and hats have been poor quality and not so great designs. Keep it simple and don’t bother giving away cheap stuff if it’s never going to be worn except to mow the lawn. 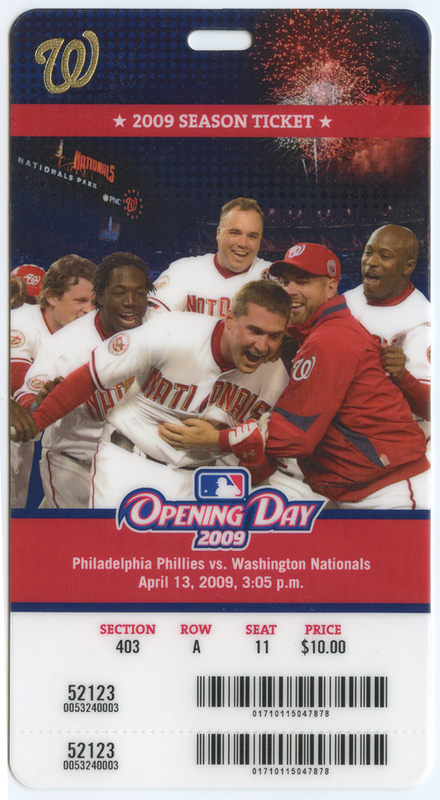 7) Not a promo item but another thing cut last year is the hard plastic opening day ticket for SPHers, a nice collectible. 8) Another SPH perk they dropped last year that would be nice to bring back is the paperweight. Always nice to be able to scold guests in my office when they mess with my Nats trinkets. 1) Bobbleheads galore, even though the bubble popped last year they’ll go back to the well. Tickets for bobblehead games were dirt cheap most of last year and the bobbleheads themselves are available on eBay relatively cheap. 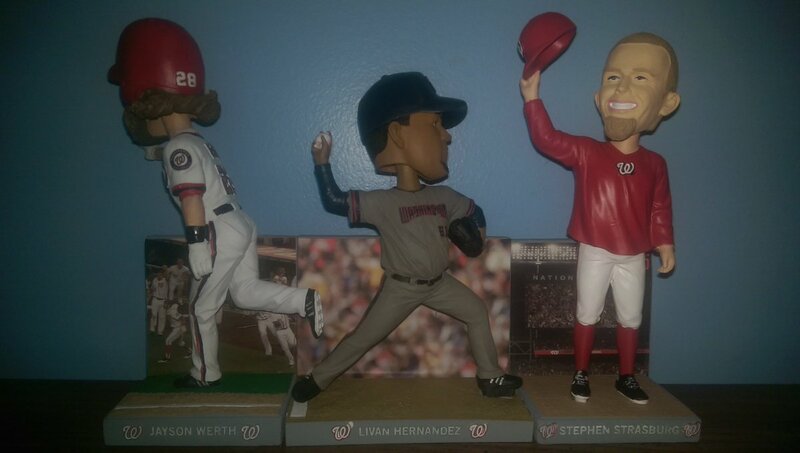 Plus they had that double screw up with the Werth bobblehead where they spent six months putting out a replacement and he is facing backwards. This year I expect two for the no hitters, one for the MVP, and at least a couple others. 2) Another gnome, Zimmerman or Strasburg?